So, you’ve moved into a new house or are getting tired of your current décor and have decided to start renovating your space. You’ve set up countless Pinterest boards, decided exactly what you want to keep and get rid of, and have the perfect mental picture of what your home’s going to look like once the work’s been done. 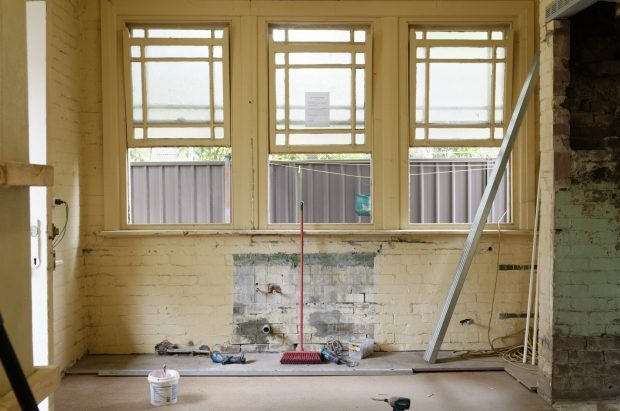 But, if you’ve watched any renovation or decorating TV shows, you’ll know just how easy it is to go over budget when creating a space to call home. So, it’s crucial that you keep a tight grip on those purse strings throughout the process. To help you with this, we’re going to share our top three money-saving tips for home renovations. Read on to learn more. You might be hesitant to ask your nearest and dearest to help with your project because you don’t want to put them out or seem cheeky. But, give it a go — they can only say no! If you have relatives or good friends who are electricians, plumbers, and decorators, they’ll be able to help with any jobs that you aren’t confident about doing on your own. But, merely having some extra hands to help you move furniture and strip wallpaper will also help massively. Just make sure you agree how you’re going to pay your loved ones back well in advance to avoid any awkward situations! A great way of keeping costs down and renovating your home in a responsible way is by recycling materials. Of course, you can use bits and pieces from your own home — for example; you might be able to upcycle your kitchen cabinets, floorboards, and even your dining table. But, you aren’t confined to recycling materials you already have. There are plenty of second-hand furniture shops and reclaimed-material sellers that you can visit to find some absolute gems. You can even use Enviromate to find reusable, surplus building materials that would otherwise be sent to landfill. Not only will going down this route save you money, but you can rest assured that you’ve done your bit for the environment, too. You’ve probably calculated how much you’ll need to spend on your chosen paint, furniture, and flooring, but have you considered all of the other costs? One outlay that people who are new to renovating their homes often forget is the price of renting a skip or having your rubbish picked up. This can get incredibly expensive — especially if you’re planning to take your time with everything. To ensure you aren’t spending more than you need to on waste disposal, we would recommend taking as much of your rubbish to the tip as possible. As well as being much cheaper than using a professional waste management company or even arranging for the council to come to pick up your rubbish, this will help to ensure everything is disposed of in the most responsible way — so, anything that can be recycled will be. If you have a van or a large car, you shouldn’t have too much trouble transporting everything. But, if you are short on space, consider investing in a trailer, like the ones you’ll find at ERDE. While this will be an investment, having a trailer will help you to save time and money. Plus, you don’t just have to use your trailer for moving rubbish. They’re great for picking up materials and transporting furniture, too. Renovating your home is never going to be cheap, so we would always recommend taking steps to cut costs wherever possible. And, these tips should help you to do just that.